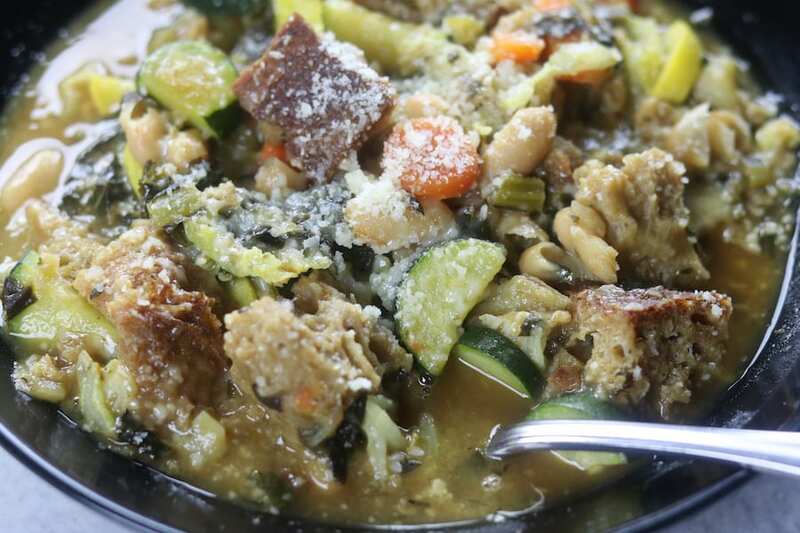 Ribollita – Italian Bread and Vegetable Soup is an authentic Tuscan meal. 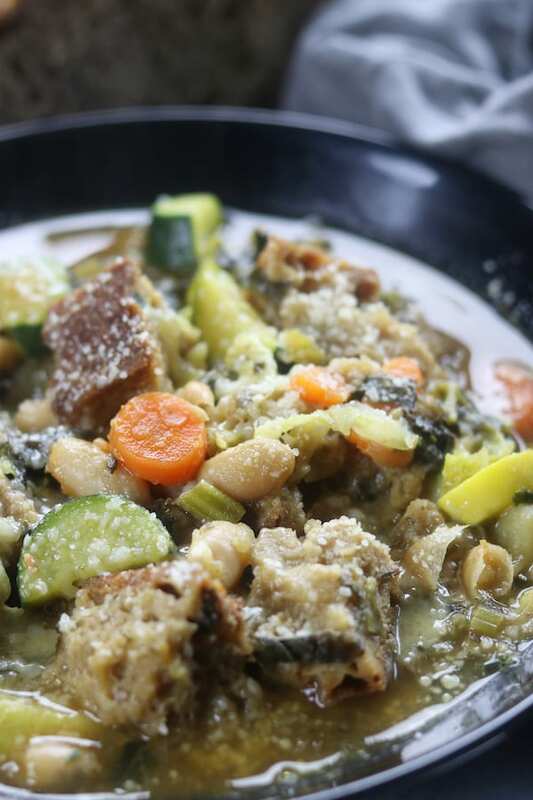 Made of cannellini beans, loads of veggies, day old bread and your favorite stock or broth. 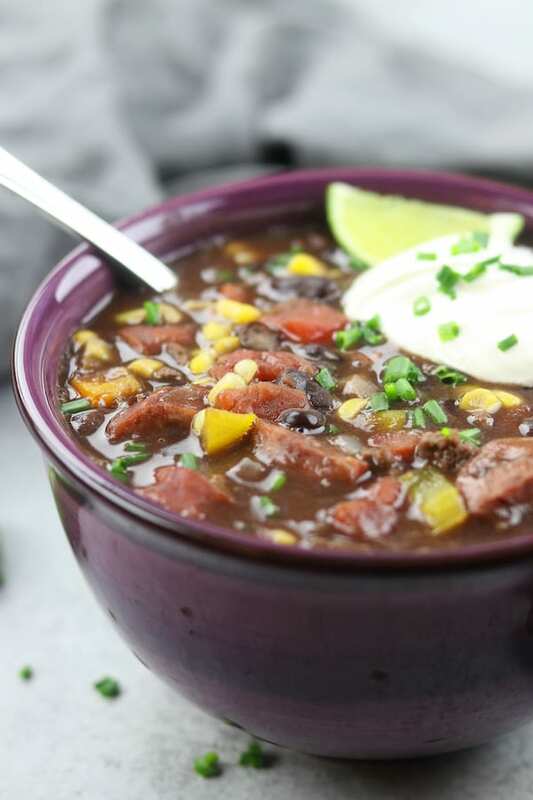 The soup is easy, healthy and perfectly hearty for chilly days. 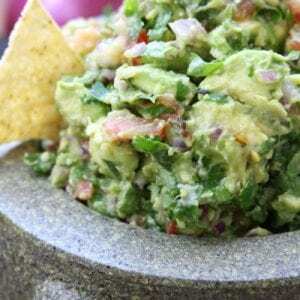 Have you ever had the experience where you are under obligation to try new dish that you just don’t think you will like… but then you try it and ABSOLUTELY FALL IN LOVE WITH IT? That was my exact experience with the first time I had Ribollita in Italy. I remember enjoying each course but to this day the only course I truly remember is the Ribollita. Let’s be honest, Ribollita kind of has a different look to it and when you are eating it for the first time you’re not fully sure what you might be getting into. 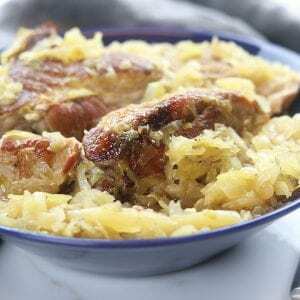 Much to my surprise I was met with a wonderfully rich and hearty flavor. It was love at first bite and I was on a mission to find out as much about Ribollita as I could. 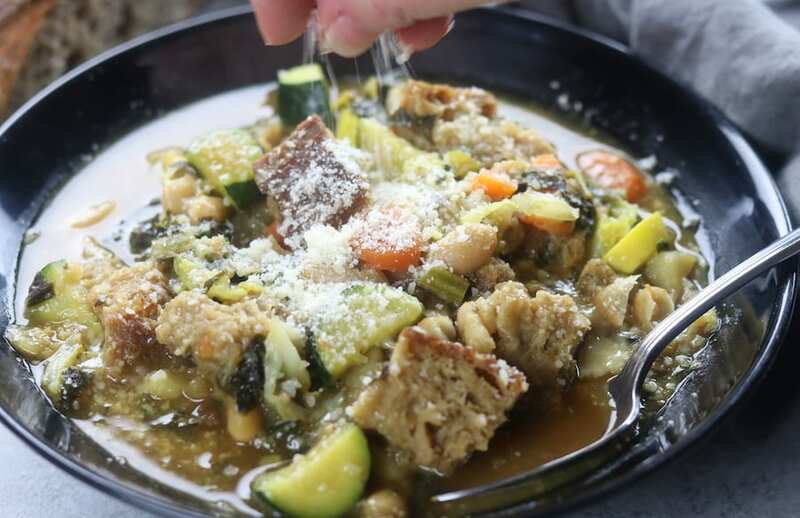 I proceeded to ask as many questions about this wonderful bread soup and I was bound and determined not to leave Italy without a copy of this recipe….And I did just that. I found a cookbook that was closely related to the description that the owners of the winery shared with me and made it as soon as I got home. Since that trip over 10 years ago I have made a few tweaks to Ribollita, tailoring to my taste preferences. The funniest part is my husband had the exact same reaction I did the first time I made this for him. He started out hesitant to try it and then fell completely in love. What exactly is Ribollita? 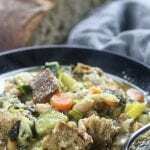 Basically it is a vegetable bread stew that is extremely popular in the region of Tuscany Italy. There are different variations of this soup but the two things that Ribollita always have in common are plenty of veggies and stale bread. I love that the Italians don’t let food go to waste. Didn’t eat all your baguette before it went stale, no problem….Just make Ribollita. 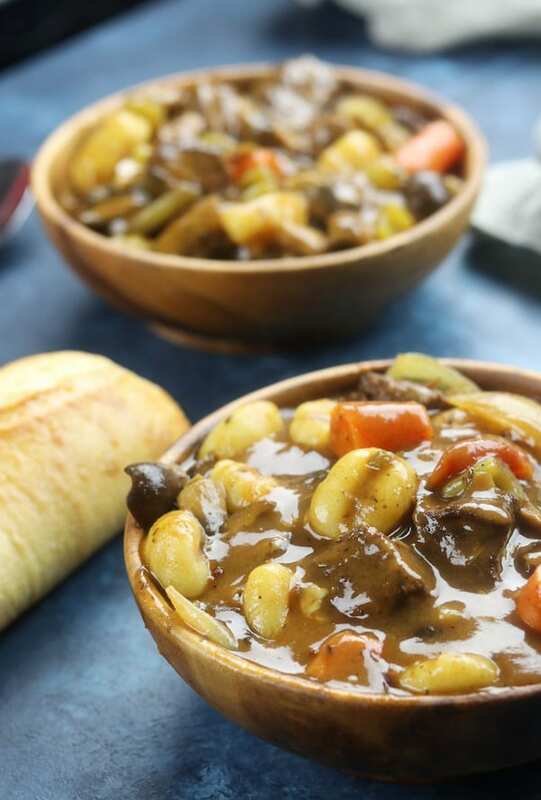 I recommend using a heartier more European type bread for this soup. I used a whole wheat sourdough, 2 day old bread from a bakery that makes European style breads. Yours doesn’t necessarily doesn’t have to come from a special bakery. Just make sure that it a heftier type loaf that is wrapped loosely. 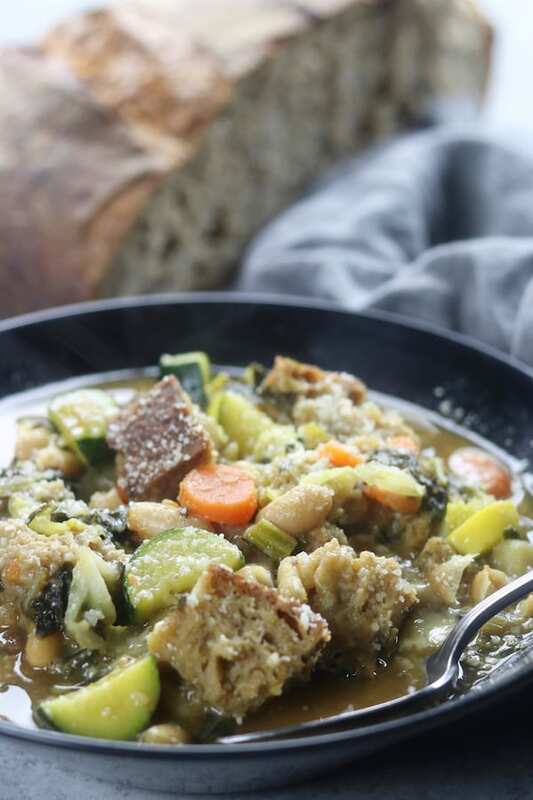 Because of the veggies this Ribollita – Italian Bread and Vegetable Soup is extremely healthy. 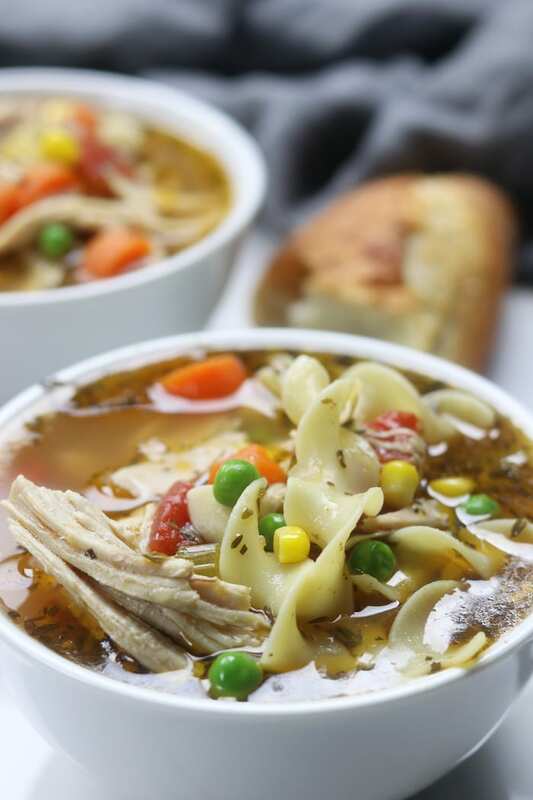 To amp up the healthy benefits substitute beef broth for bone broth. I usually buy organic pasture raised bones at my local health food store and then on chilly days I use my crockpot to make it. I then let it refrigerate over night. 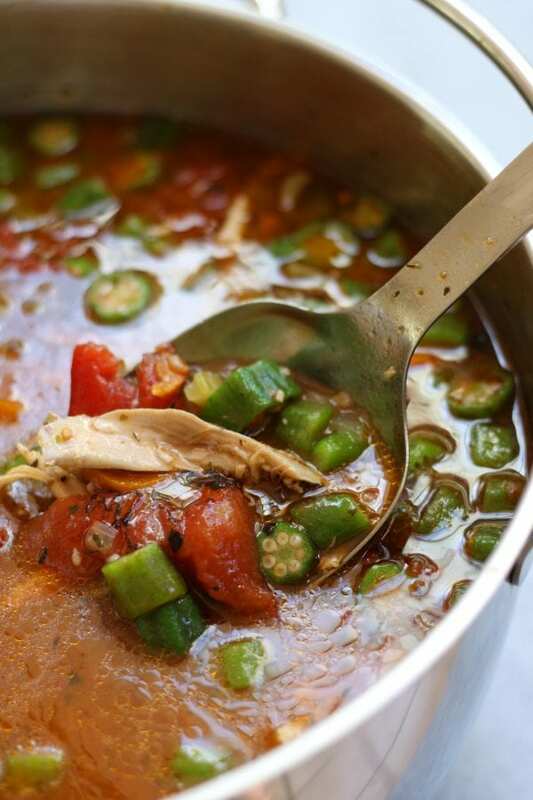 The next day I scrape off the layer of fat and freeze until I am ready to use for soups. 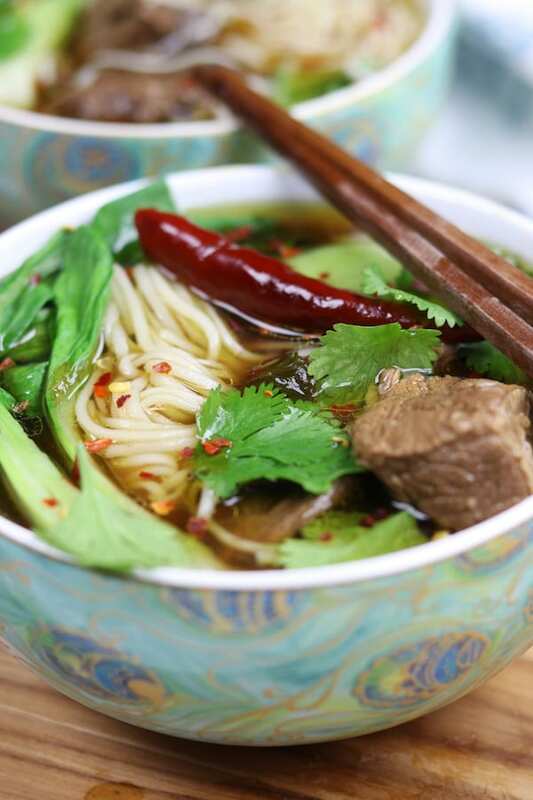 For other savory inspirations follow along on Facebook and Pinterest.